Tesla CEO Elon Musk spends a lot of time on Twitter — as do his fans and critics. That combination has made Tesla one of the most talked-about companies online. A community known as $TSLAQ is betting on the company’s death and have found much success in irritating the billionaire executive. 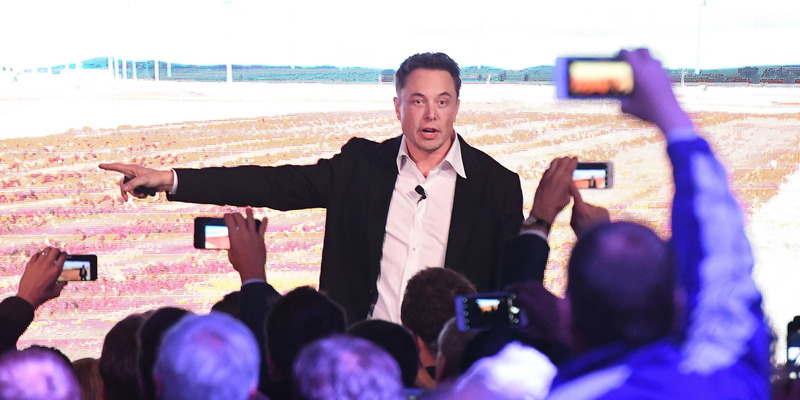 Business Insider spoke with a half-dozen outspoken Tesla fans — both bulls and bears — to piece together how Tesla garnered its fandom. They say the company is “perfect” for this kind of discussion. When Tesla employee Carlos Aranda got hurt and couldn’t do his assigned job at the company’s Fremont factory, he did what hundreds of thousands of Americans have done to pay for costly medical bills: He turned to the kindness of strangers for help. Two days after Aranda created a GoFundMe page to “stay afloat,” as he put it, an anonymous Twitter account adorned with a cane-wielding, mustachioed avatar posted a link to his fundraiser. More than $7,000 worth of donations have poured in over the past week, the page shows, including many whose names correspond with members of the $TSLAQ community referenced in @TeslaCharts’ tweet. The online community is named for the electric-vehicle maker’s stock ticker — plus the “Q” notation added for when a company files for bankruptcy. For many in this group, the obsession with Tesla, and what they see as its eventual demise, runs deep. So much so that they urged other Twitter users to donate to a Tesla assembly-line worker some believe was treated unfairly by the company. Tesla is the quintessential pioneering but polarizing company — and it’s on Twitter, where these passionate bears who make up groups like $TSLAQ run into the bulls and Musk evangelists. Armchair market watchers can interact with noted Tesla short-sellers — such as Jim Chanos, known for betting on Enron’s demise nearly two decades ago, and Marc Cohodes, whose hedge fund went bust during the global financial crisis — 280 characters at a time.